only served to postpone the inevitable conflict then rapidly approaching, and to demoralize the spirit of the Free State party. It occasioned, he thought, the death of many Northern men, whom, encouraged by this compromising action, the marauders, on their return, murdered in cold blood or in desultory warfare. Brown may have seen it that way at the time. We can look ahead and agree with him that murders and strife came, though connecting them with the Free State party’s disinclination to hazard large-scale violence would take more doing. John Brown didn’t go around eating bugs and raving like the cartoon madman of popular memory, but he also lacked any formal military experience -in his earlier life he paid fines rather than take part in the militia- and seems largely uninterested in the practicalities of battle. He knew he needed weapons and where to use them. When to strike or how seem not to have troubled Brown too much. Redpath tells that Brown didn’t care to hear the odds. Maybe. People with something to fight for may fight harder, but that doesn’t ensure victory. It also neglects how many of those men Brown thought seduced by whiskey and bacon could claim just the same motives. If Kansas fell to freedom, then it may fatally undermine slavery in Missouri. In Southern thought, that would almost certainly lead to a genocidal race war. They, as white men, expected to win that fight in the end. They also knew that in such a war, their own homes and families might not survive to the end. 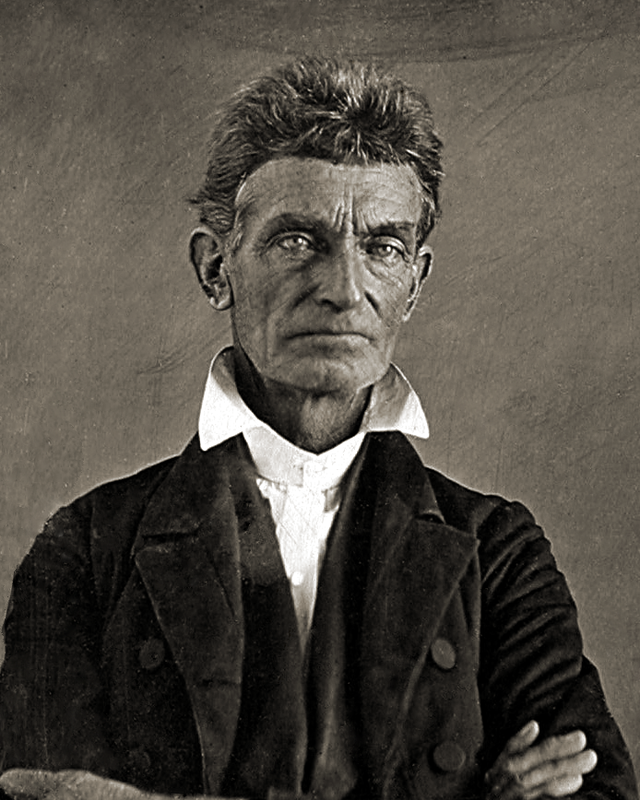 We left John Brown at the close of the Wakarusa War. He showed up for the siege of Lawrence, armed to the teeth, and a militia company quickly formed around him. Brown then tried to convince the antislavery men to launch an attack on the proslavery headquarters at Franklin. He tried that a few times and each time it seems that the free state leadership intervened to put a stop to it. When they announced their negotiated peace, Brown had about had it with them. 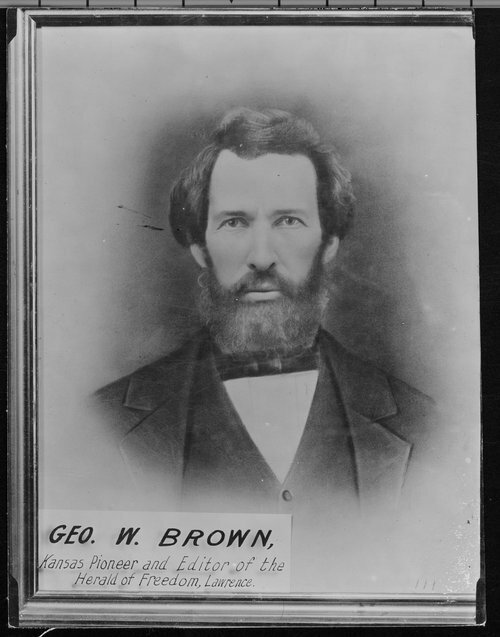 Redpath either didn’t appreciate the political complexities, including that an outnumbered force might well lose a battle, or ignored them to paint a better picture of John Brown as the righteous man of Kansas. It would not do to admit that the bloody issue phrasing came from Andrew Reeder’s pen, in resolutions he demanded the free state party adopt as a condition of his remaining in the territory and joining with them. If anything, that might make the whole business look dubious. Careful politics don’t often make for the best public relations. Still, Brown’s hagiographer speaks to the essential frustration of the rank and file antislavery men around Lawrence that day. They came all this way and endured considerable stress. They built earthworks while proslavery men took potshots at them. They waited for days on end. The enemy robbed their homes. We should not neglect the political grievances, but the siege had strains all its own capped off by the death of one of their fellows. he did not hesitate to express his contempt for the “Committee of Safety”-most of them ox-intellects, vainly striving to fill an office fit for lionhearts only-and to denounce the political preachers of peace as recreant to their recent and loudly-vaunted resolutions. He went out at once with a dozen men to meet the Missouri invaders-“to draw a little blood,” as he styled it-but, at the earnest entreaties of General Lane, he returned to town without doing it. We left Captain Walker, a free state man, in possession of Wilson Shannon’s answer to the town of Lawrence. They had a proslavery army bearing down on them, again, and he had both the authority to call out the United States Army to defend them and a responsibility for their safety as governor of Kansas. They also asked Colonel Edwin Sumner, 1st Cavalry, first and he told them he couldn’t act without Shannon’s go ahead. The committee of safety dispatched Walker their plea for help, the same document but with Shannon’s name in the place of Sumner’s. This put them in the awkward position of acknowledging Shannon as the governor of Kansas when they had elected Charles Robinson to that office, but with lives at stake one must make sacrifices. 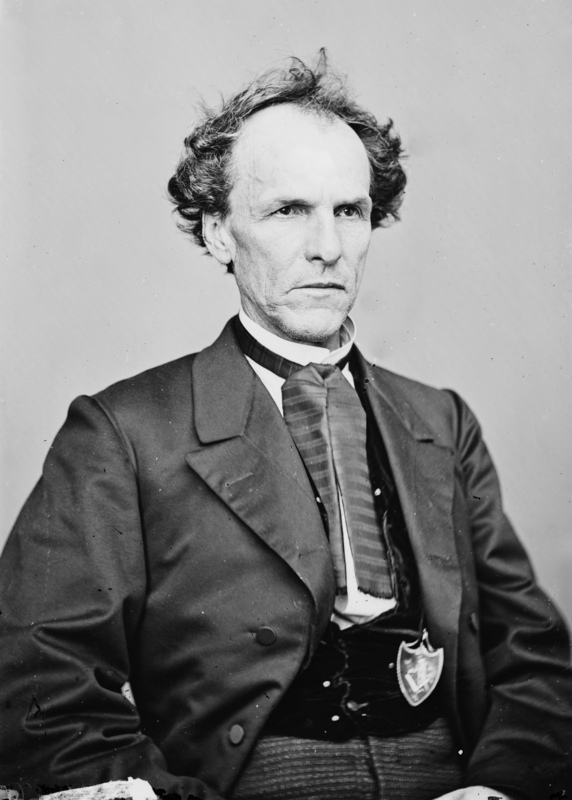 The New York Times’ correspondent reported that Walker could not get near Lecompton to deliver the message, but secured a proslavery go between. He no sooner had Shannon’s answer than six men commenced chasing after him, firing all the way. Walker lost them in a ravine. 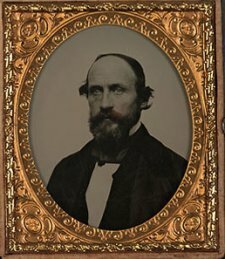 Samuel Lecompte ran his court and grand jury out of Lecompton, which he lent his name. He helped start this latest trouble by summoning the entire free state leadership on suspicion of treason. The Times remarked that he kept issuing summons to that town, which free state men feared to answer. Lecompte himself might happily let them stew through some months of custody before a trial that ended with antislavery Kansans dangling from a rope, but someone else could arrange a fatal accident far sooner. News of that had gotten Andrew Reeder to abandon the plan to serve as the party’s political martyr and test case. Now it must have seemed that anyone foolish enough to go would risk his life attempting just to get to the court. consequently stay away; the result of which is they are being subject to a new process for contempt of Court […] the highest crime recognized by law in Kansas while Judge Lecompte is arbiter. We are becoming more suspicious that these demons meditate a night attack upon us, therefore we are keeping out strong guards, and lights are kept burning at night in our principal buildings. Lights out or not, nobody could have slept soundly on that news. Once again, Gentle Readers, please note that I have transcribed Parrott’s letter from his handwritten original and, despite the generous and extensive help of AskHistorians’ Caffarelli, I might have gotten some points wrong. a good trick of Lane’s. The Col is [one] excellent good shot & understands the duello. There will be no fight, but I think Lane will [rearrange or ravage] “Dregs” Southern swarth & mollify his rampant spirit, which is much delighted in metaphors drawn from the profession of arms. Marc had heard that Lane had gotten back to Lawrence in time, which gladdened him. I don’t know who would have had charge of the town at just this point, with so much of the leadership fled. Either way, he though Lawrence could use someone who would answer Southerners in a language they understood and respected: honor and violence. If the impending troubles should blow over, I shall start on a trip to the Neosho river, 100 miles south to look at a town title in which I am offered an interest on good terms. […] I wrote to Father yesterday a proposition to let me have money enough to keep a good bargain when I get it. It would relieve me a great deal. If more happens that I struggle along with just enough to keep my head above water from one month’s end to another. Further the proposition with such [neighborly] considerations and eloquent innuendoes as the humble [theme] may inspire. Marcus Parrott’s money troubles don’t change the course of history, but they do offer us a look into the day to day lives of people in territorial Kansas. Parrott came in as a professional, expecting to do well in law. His practice had not taken off, probably not helped by the disabilities the slave code put on white men who refused to declare for slavery. He wanted to try land, always a good bet in a new territory, but that required capital he didn’t have. His father apparently did, so would dear Edwin kindly lean on the old man a bit? I don’t know Marc’s terms or the land in question, but he may have had a good deal. Undeveloped land, especially if bought at preemption rates, would almost surely rise in value in the short to medium term as Kansas filled up with land-hungry white colonists. Many a middle class man had staked a claim in a new territory, seen it develop for a few years, then sold it at a tidy profit and moved west to repeat the process.